INTRODUCTION ABOUT THE ABET CRITERIA. In this new age of economic integration and open trade, Vietnam is in the process of reinventing itself, industrially and socially, in order to become a more suitable business partner to other economic powers of the world. As our country enters the new foray of globalization, we require standardization on various economic and cultural fronts, ranging from our manufacturing industries to our educational systems. One of the most paramount requirements for joining the ranks of developed societies is the quality assurance of our higher education structure. This system of growing and nurturing the budding talents to ensure a robust and replete pool of human resources must be continuously and iteratively reviewed for quality. As a national university, the HoChiMinh City University of Technology (HCMUT) has been striving to prove ourselves as the top academic institution for teaching and developing young engineers in Vietnam. Since 2008, we have set our goal on qualifying for international standards and obtaining certificates of educational quality assessment from highly esteemed and well recognized international organizations. We previously succeeded in quality certifications from the regional ASEAN University Network-Quality Assurance (AUN-QA) in 6 of our programs, in qualifications of our 7 Educational Programs for Excellent Engineers from the French CTI (Comite de Titre d’Ingenieurs) and European EUR-ACE. However, the biggest accomplishment of all came for us this year when we attained the prestigious American ABET certificate (Accreditation Board of Engineering and Technology) in 2 programs of Computer Science (CS) and Computer Engineering (CE), so now graduates of these 2 programs will hold a degree that is internationally recognized by engineering corporations and organizations across the globe. Not only will our students be able to work as engineers overseas, but this internationally celebrated degree also opens the path for our graduates to rise up in the hierarchy and become leaders in their organizations. 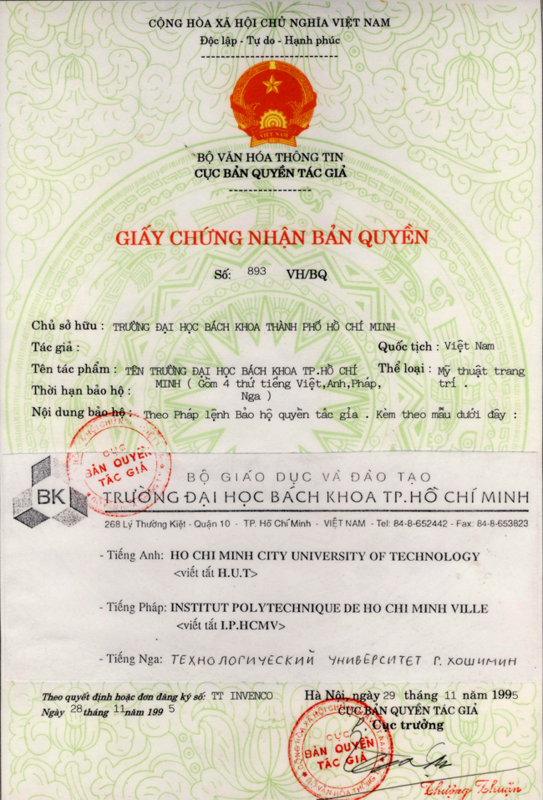 In our 57 years of school history, this accomplishment is one of the most significant achievements toward establishing HCMUT as the top university in Vietnam and in Southeast Asia as a whole; this achievement will become even more meaningful when Vietnam becomes integrated into the ASEAN community in the year 2015. As the first university in Vietnam and one of the few institutions in Southeast Asia with the ABET certificate, we are truly honored. With this great accreditation, we will work even harder to sustain the high quality performance by our staff, students and administrators. We truly hope that this achievement will be an important step to enhancing the quality of higher education in our country and propels our education system to greater heights and accomplishments.